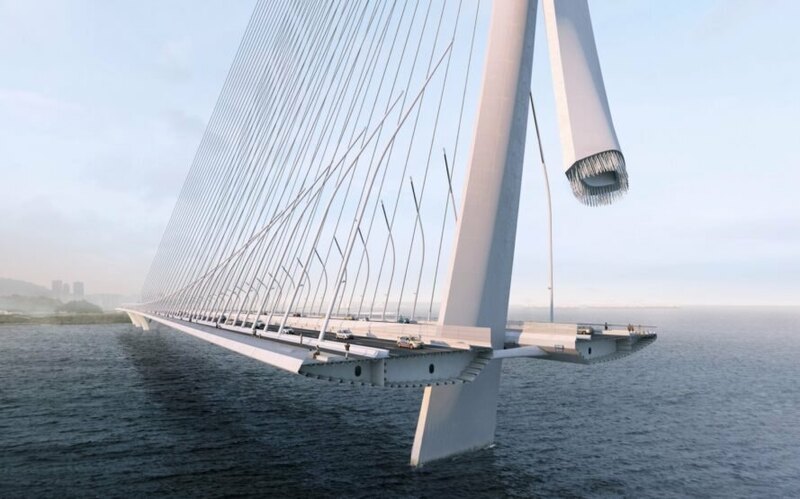 The world’s longest single-mast, asymmetric cable-stayed bridge has broken ground in northern Taiwan. Not only engineered for minimal visual impact, the bridge is also designed to host a wide range of transit options. 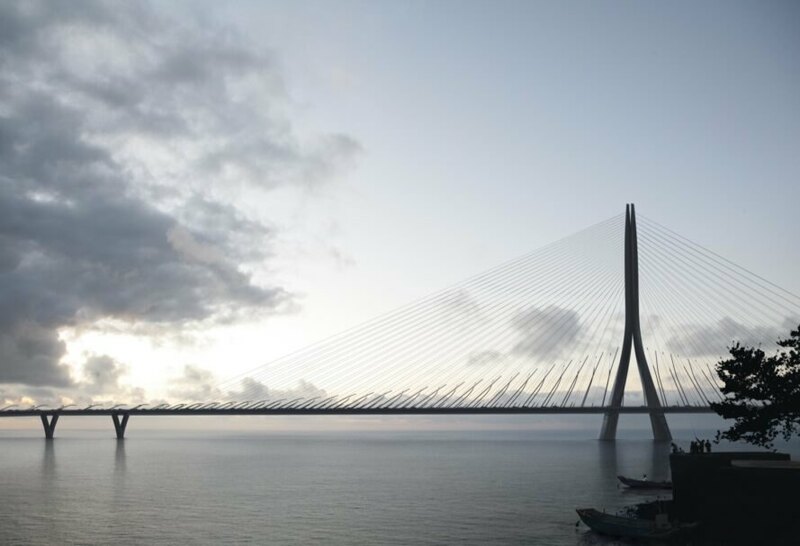 Designed by Zaha Hadid Architects, the world record-breaking Danjiang Bridge will span approximately 3,000 feet across the mouth of the Tamsui River. The structure’s single-mast design is also meant to minimize site impact to the riverbed as part of an effort to protect the estuary’s ecosystem and nature reserve. Supported by a single 656-foot-tall concrete pylon, the Danjiang Bridge will connect Bali district and Tamsui district in New Taipei City while improving accessibility between Taipei and Taoyuan International Airport, and will also help reduce traffic in the area by an estimated 30 percent. Along with Sinotech Engineering Consultants and Leonhardt, Andrä and Partner Beratende Ingenieure, Zaha Hadid Architects was approached to design the project after winning an international design competition in 2015 with their proposal for a sleek and minimalist bridge. 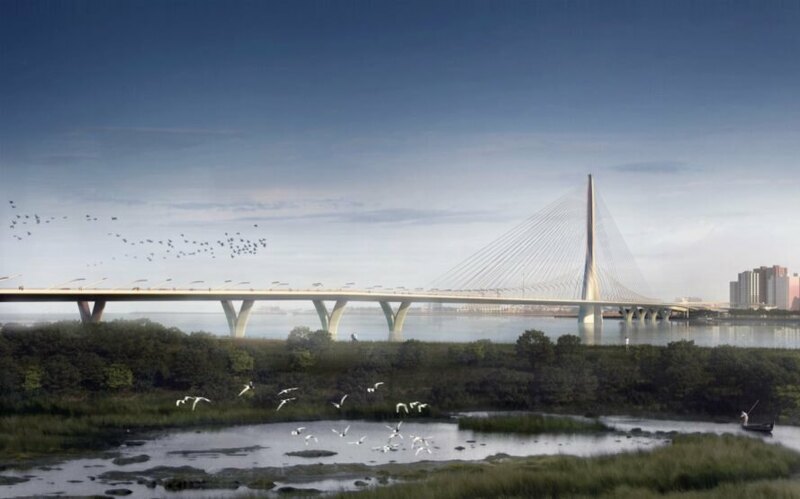 The proposed bridge includes dedicated lanes for high-occupancy vehicles, motorized vehicles, scooters, bicycles and pedestrians. Bicycle racks and benches will also be installed at intervals across the bridge. Since the estuary has long drawn locals and tourists alike who flock to the coast every day to watch the sun setting over the Taiwan Strait, it was imperative that the slender bridge minimize its visual impact so as not to obstruct views from popular viewing points along the river bank. 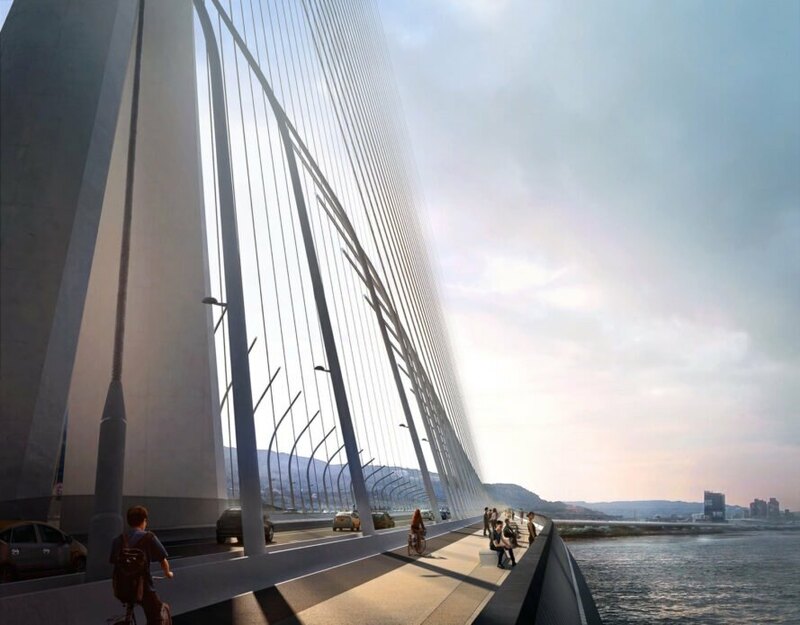 The bridge is also designed to minimize environmental impact and to accommodate a potential future expansion of the Danhai Light Rail network across the Tamsui River. The Danjiang Bridge has a construction schedule of 68 months and a budget of NT $12.49 billion (U.S. $405.2 million). The project is slated to open in 2024. The world’s longest single-mast, asymmetric cable-stayed bridge has broken ground in northern Taiwan. The bridge is designed to host a wide range of transit options. The project is slated to open in 2024. 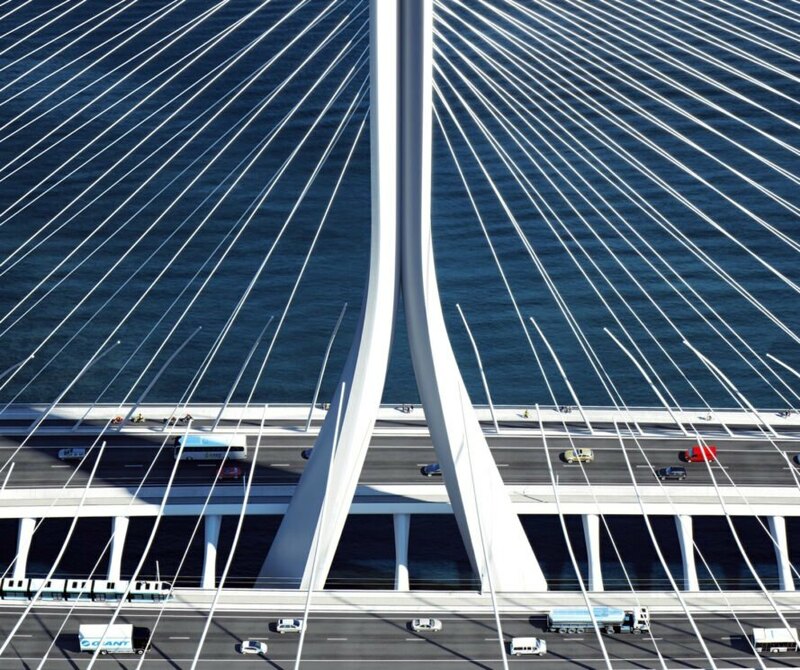 The Danjiang Bridge will span approximately 3,000 feet across the Tamsui River. The design is also meant to minimize site impact to the riverbed. The bridge is supported by a single 656-foot-tall concrete pylon.